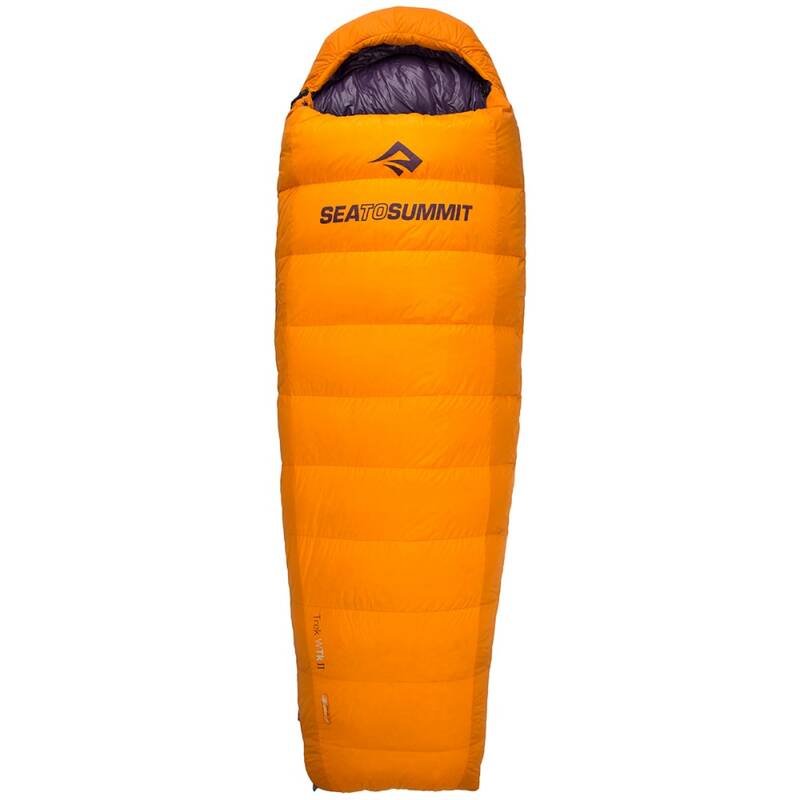 Sea to Summit has designed a down sleeping bag collection specifically for women, and the Trek™ Women's Series includes two models. The women's Trek™ bags use the same 650+ loft RDS certified ULTRADRY Down™ and 2D PermaShell outer fabric as the regular bags. They're cut slightly shorter and wider to incorporate extra room in the hip area, along with more down in the foot and torso areas. Additionally, a layer of THERMOLITE® insulation in the foot box keeps ankles and feet toasty through the night. This versatile bag is ideal for many activities and is ready to be put to the limits during any adventure. Women's-specific cut: narrower in the shoulders, wider in the hip section. Women's-specific insulation: Extra down and a layer of THERMOLITE® in the bottom two baffles for extra warmth in the feet. 3 Season: Comfort for fall, some winter, and all of spring. Perfect for summer when used as a quilt. Fit: Roomy, lots of room to roll, curl, and adjust all night long. Zip Options: Full-length right side and foot box zipper. Unzip fully to use as blanket. 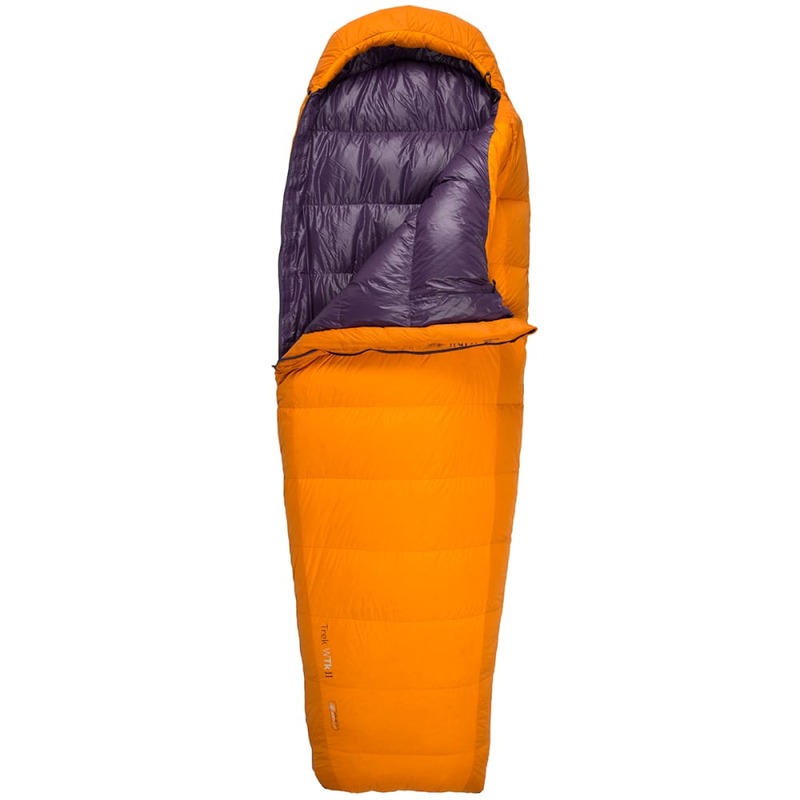 Fits up to: 5 ft., 7 in. Packed size: 8 x 10 in. Max. User Height: 5 ft., 7 in. Stuff Sack Size: 8 x 10 in.